Join us in celebration of three years of the Chapel with a fabulous anniversary supper put together by Rosie Sykes and our chefs. 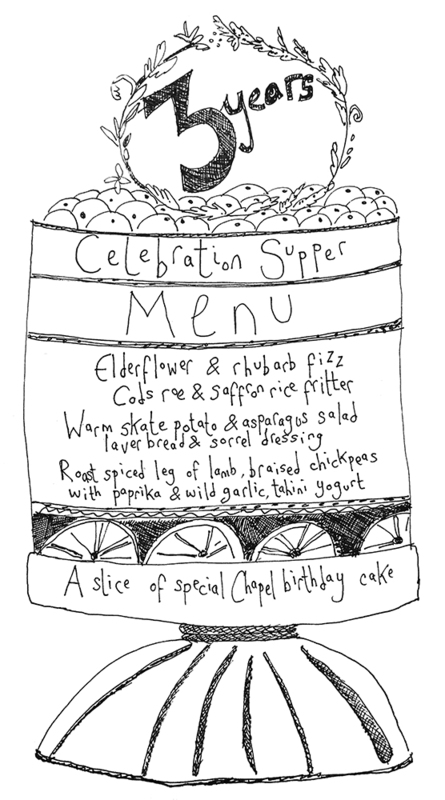 A three course menu will be topped off with fizz and a very special birthday cake. There is lots to celebrate! Thank you to each of you who join us in making the Chapel a special place.